Round fruit between 5 and 9 inches in diameter. 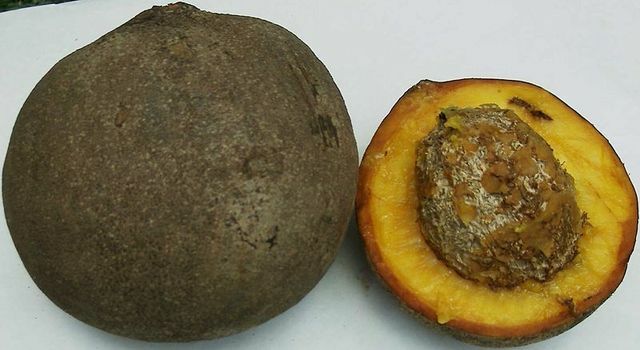 The fruit has rough brown skin and contains a single large seed. The flesh of unripe fruit is hard and becomes soft when fully ripened. 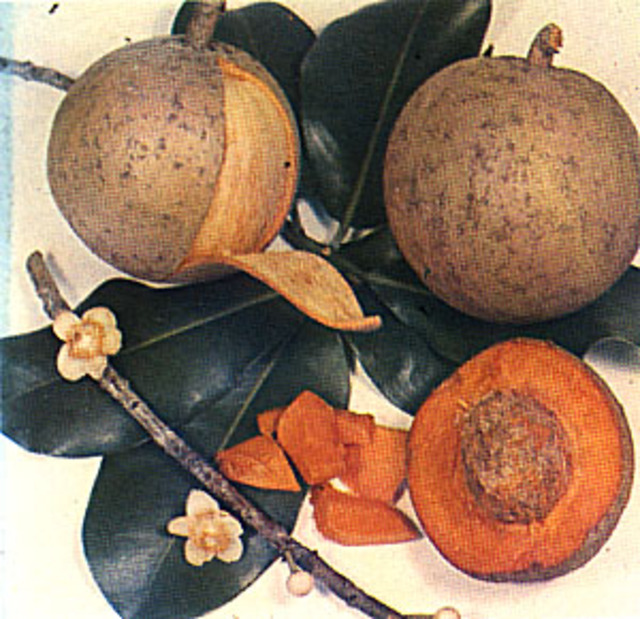 The fruit is edible with tastes ranging from sour to sweet and reminiscent of apricots.